The ‘Big C’ was the mighty catalyst for Carron and Geoff Stevenson’s decision to spend more time on the road. Carron Stevenson writes about her life-changing decision to retire and hit the road. 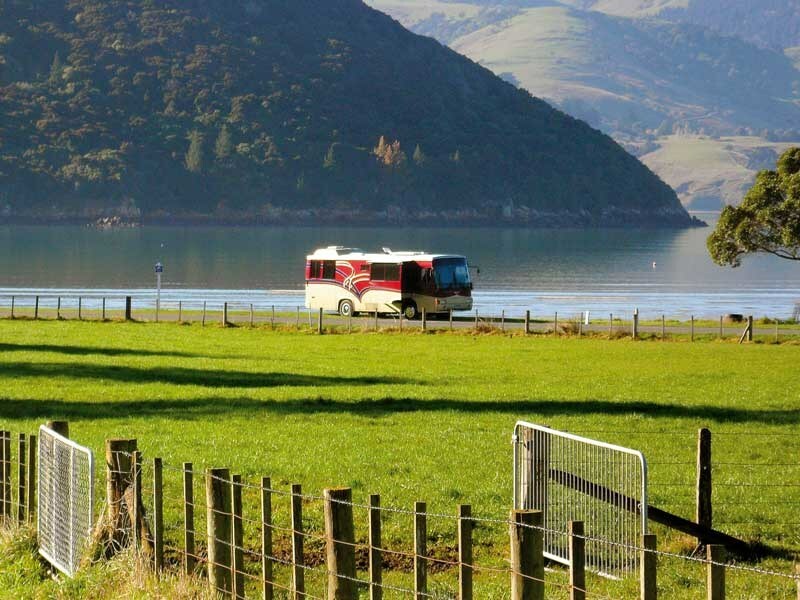 Do you love getting away in your motorhome or caravan? How hard is it to find the time to do it? We certainly do and have been camping as a family for just over 20 years now, starting out in a cosy 10-foot Zephyr, before moving to a 16-foot Classic as our daughters grew, and then a 20-foot Paramount with its own bathroom. Our holidays were mainly close to home in the Waitaki Valley and McKenzie Country. 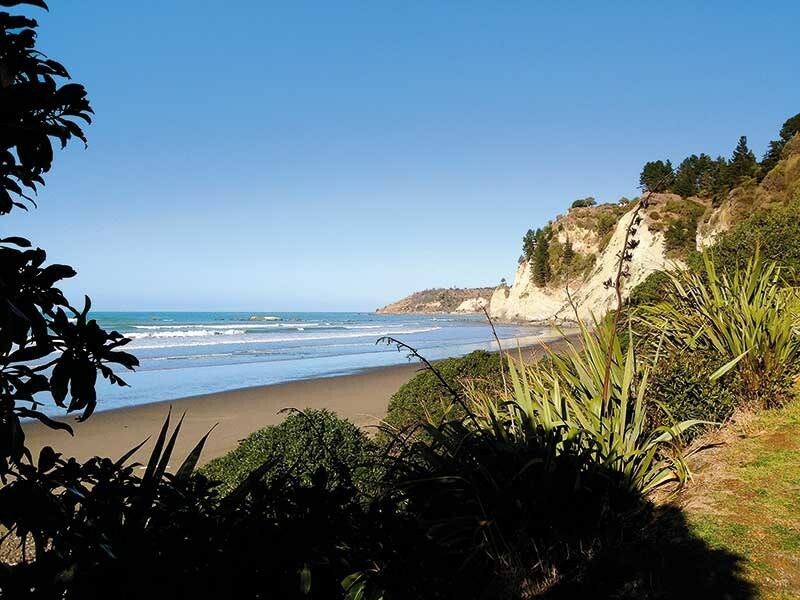 After we moved to Christchurch, we had to find alternatives to our weekends away in Waitaki. Exploring the Selwyn District, we discovered Whitecliffs Domain, so pretty in spring and autumn; Chamberlains Ford on Leeston Road, with new toilets and BBQs; Coes Ford on The Lake Road with new toilets; Lakeside Domain on Timber Yard Road; and Orton Bradley Park at Charteris Bay. The latter is such a beautiful place, we were sad to stop going there, when we rescued our dog Benji from the pound, as no dogs were allowed. We also explored Wainui on the west side of Akaroa Harbour, where free camping is allowed on the wee domain with public toilets. French Farm offers a safe harbour for yachts to birth and is free to stay (there is also a public dump station here), and we loved Okains Bay with its steep road in and out. 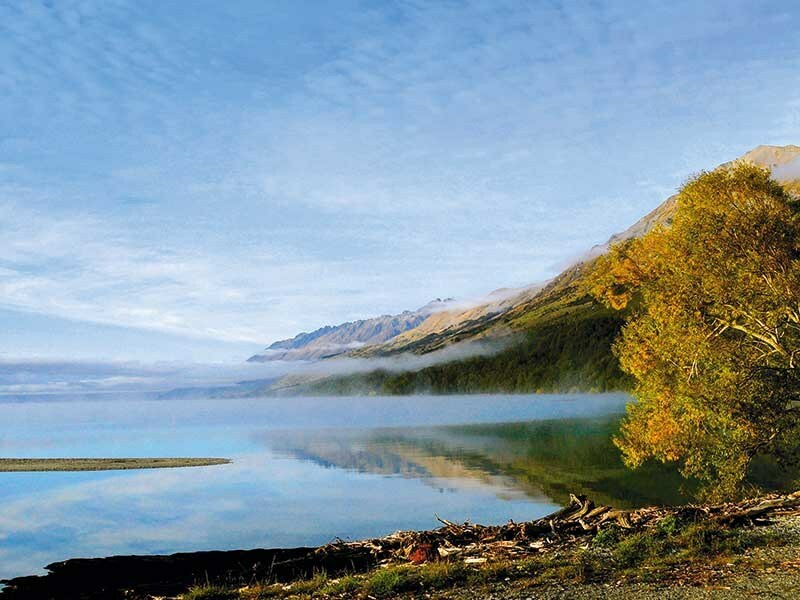 For long weekends we would head off to Hanmer Springs, Balmoral Forrest and Kaikoura. Once our daughters left home, instead of a week in the school holidays, we were able to get away for a month at a time. We all have those life-changing moments, the ones like ‘before the earthquake’ and ‘after the earthquake’ (for Christchurch folk) when we take stock of our lives, and think about what we really want to do. We aimed for an improved work/life balance. We kept an eye on Motorhomes, Caravans & Destinations. We wanted a professionally converted bus to travel full time in. The Captain spotted a Hino Rainbow with a slide out, which gave us plenty of room in the living area but, at just 8.4 metres, it was still reasonably easy to manoeuvre. A month later, Rob was diagnosed with cancer. We were shattered. Fortunately, the cancer hadn’t yet spread through his body. The surgery went well with prescribed vitamin and mineral packed drinks before and after surgery, and hydro-oxygen delivering about 30 percent more oxygen to the body, ensuring that healing went well. The ‘Big C’ had been caught, just in time. This had a profound effect on Carron and Geoff Stevenson, who decided to retire and begin a new life on the road. Read the full article in the latest issue (#133 ) of Motorhomes Caravans & Destinations. RWD vs FWD: front- or rear-wheel drive motorhomes?